Born at Frankfort Springs, Pennsylvania, in 1833, Robert Martin, a territorial governor of Oklahoma, grew to manhood in Ohio. After graduating from Westminster College, New Wilmington, Pennsylvania, he taught in Steubenville High School in Ohio, while reading law. His marriage to Ada S. Gilmore, of Marietta, Ohio, came in 1861; the union produced two daughters. The following year he entered law practice in Steubenville and later enlisted in the 126th Ohio Volunteer Infantry as an officer. Martin's Civil War service was cut short by illness, and he was discharged from the U.S. Army in November 1863. Reentering law practice, he briefly went into local Republican politics before moving to Kansas in 1887. In company of a group of former soldiers, Robert Martin came to Oklahoma in April 1889, and settled at Harrison. He immediately became involved in the movement for organizing the territory, serving in the convention that met in July 1889 in Guthrie. Soon after this he moved to El Reno, and when territorial government was established with the Organic Act of May 2, 1890, he was nominated as territorial secretary. During his tenure Martin became well known in Washington, D.C., for of his careful attention to territorial finances. His accurate and timely reports to the Departments of the Interior and Treasury drew favorable notice. 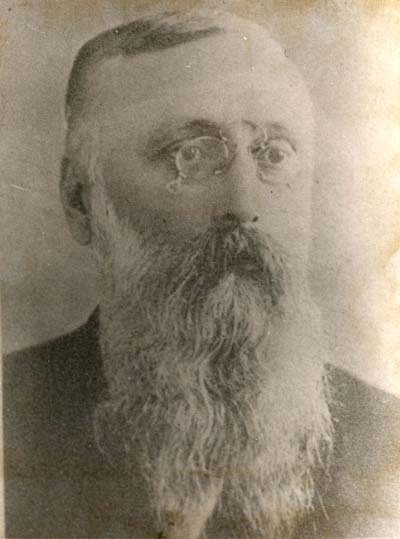 He held the secretarial post until the October 1891 resignation of Gov. George Washington Steele. On November 8, 1891, Martin took office as acting governor. On February 1, 1892, he vacated the governor's office to Abraham Jefferson Seay and continued as territorial secretary until replaced by the Democratic administration that was installed by Pres. Grover Cleveland in May 1893. Martin resided in Guthrie, and in April 1894 he successfully ran for the post of mayor, an office that he held until 1896. During his term he paid off a large portion of the city's debt and placed the community on a sound financial footing. Robert Martin died of heart failure March 2, 1897, in Guthrie. Daily Oklahoma State Capital (Guthrie), 2 March 1897. Jack R. Yakey, "Robert Martin, Acting Governor of Oklahoma Territory, 1891–1892," in Oklahoma's Governors, 1890–1907: Territorial Years, ed. LeRoy H. Fischer (Oklahoma City: Oklahoma Historical Society, 1975). Dianna Everett, "Martin, Robert," The Encyclopedia of Oklahoma History and Culture, https://www.okhistory.org/publications/enc/entry.php?entry=MA033.